Synergy Asset Management, Inc. is a Florida Corporation located in Tampa that provides management services to owners and investors across the state of Florida. Synergy’s Property Management Approach continuously reaffirms our commitment to objectives, adherence to service performance standards and the accountability of all Synergy employees each step of the way. 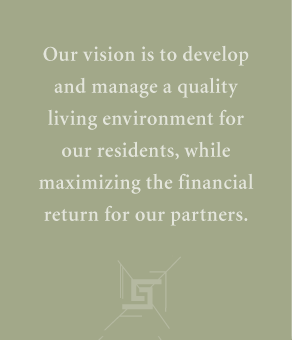 From the supervision of the creation and implementation of successful marketing programs to prompt and proper maintenance, and from accounting to lease-up, the Synergy team works to ensure the highest possible return on investment for the owners while maintaining or enhancing the economic life of the property.